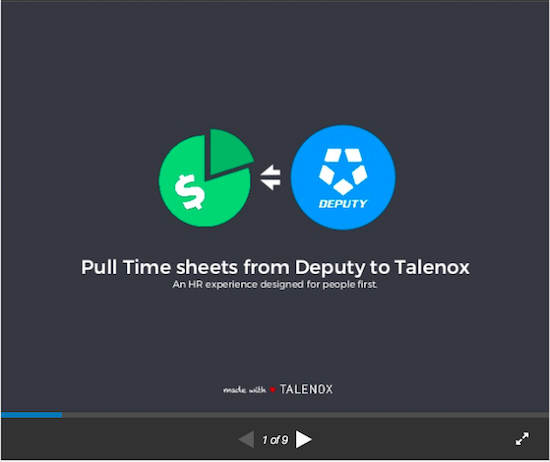 If you are viewing this, you most likely already know about Talenox's integration with Deputy and would like to learn how it works so that you can start trying it out. For an overview of the entire integration, you can view the details over here: https://www.talenox.com/deputy/. 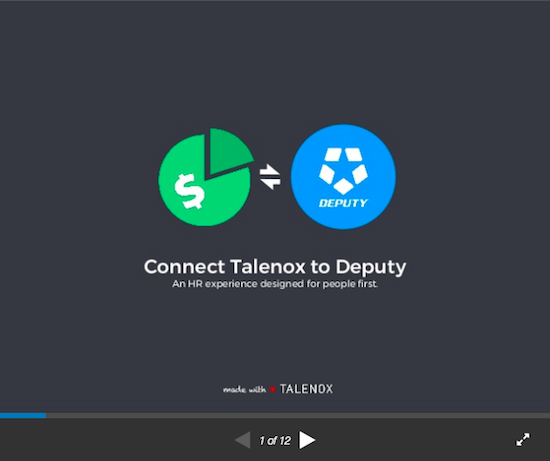 Please go through the following guide to set up your Talenox integration to Deputy. To do that, head over to the Integration page on the top right menu. Choose Deputy app and ensure that you kickstart with mapping cost centres in Talenox to locations in Deputy, before creating employee profiles in Deputy using the employee details from Talenox. Once integration is done, you can start pulling approved time sheets from Deputy to Talenox. Once you have chosen the period to import the time sheets, import the time sheets, sync the employees if needed and process payroll as usual on Talenox. Like the integration? Leave a review for us!